Market through low labor costs, high production efficiency and mass distribution. However, it can lead to marketing myopia, focusing too narrowly. One of the oldest orientations that guides sellers. However, focusing only on product can also lead to marketing myopia. solution to a mouse problem but not necessarily for a better mousetrap. Biggest failing of marketing - it has not marketed itself well; it is practical knowledge; it has more substance than what it is credited with. Essence of marketing is a transaction; it intends to satisfy human needs; it is an exchange. Two or more parties with unsatisfied needs (particular groups) A desire and ability on their part to be satisfied (desire for the products) A way for the parties to communicate, and transact (vehicle) Something to exchange. 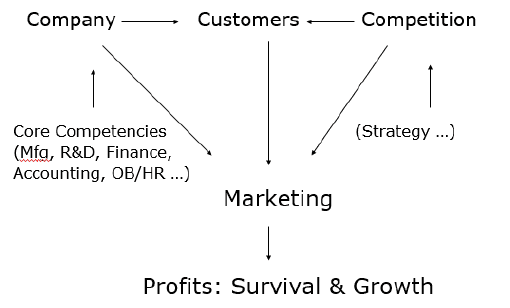 (there need to be a product) 3c: customer analysis, company assessment, competition analysis. Affordable; concentrate on operational efficiencies and cost reduction, which is one of the oldest orientations that guides sellers. Example: lenovo dominates the highly competitive, price-sensitive chinese pc. Market through low labor costs, high production efficiency and mass distribution. However, it can lead to marketing myopia, focusing too narrowly. Most innovative features, they focus on design features and products excellence. One of the oldest orientations that guides sellers.